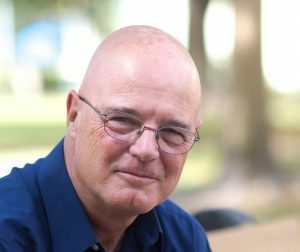 Brian has been active in networking and mentoring church planters and pastors since the mid 1980’s, and has assisted in the development of several new churches. He is a popular conference speaker and a frequent guest lecturer for denominational and ecumenical leadership gatherings – across the US and Canada, Latin America, Europe, Africa, and Asia. His public speaking covers a broad range of topics including postmodern thought and culture, Biblical studies, evangelism, leadership, global mission, spiritual formation, worship, pastoral survival and burnout, inter-religious dialogue, ecology, and social justice. His first work of teaching fiction (or creative-nonfiction), “A New Kind of Christian” won Christianity Today’s “Award of Merit” in 2002, and has become one of the pivotal texts for what is increasingly called “Emergence Christianity.” It was followed by “The Story We Find Ourselves In” which seeks to tell the Biblical story in a fresh way. Brian concluded this trilogy with “The Last Word and the Word After That” a book that reopened the question of hell and final judgment. His 2006 release, “The Secret Message of Jesus” explores the theme of the kingdom of God in the teachings of Jesus. “Everything Must Change traces critical ways in which Jesus’ message of the kingdom of God confronts contemporary global crises. In “Finding Our Way Again” Brian draws resources from ancient traditions and practices to enrich spiritual formation today. In “A New Kind of Christianity” Brian articulated ten questions that are central to the emergence of a postmodern, post-colonial Christian faith. His 2011 release, “Naked Spirituality,” offers “simple, doable, and durable” practices to help people deepen their life with God. Brian’s “Why Did Jesus, Moses, the Buddha, and Mohammed Cross the Road? (Christian Identity in a Multi-Faith World)” was the premier release of Jericho Books. It explores the intersection of religious identity, inter-religious hostility, and human solidarity. His 2014 release, We Make the Road by Walking, marks a turn toward constructive and practical theology. And his 2016 release, The Great Spiritual Migration, has been hailed as his most important work to date. In 2017, he rewrote We Make the Road by Walking as a daily devotional called Seeking Aliveness, and he helped create a study resources (readers guide, leaders guide, video) for The Great Spiritual Migration called Way of Life.